The cost: $1 per participating student. Newtown History Center staff will present the program at your school wearing period costume representing what common people wore in the early 1800s. 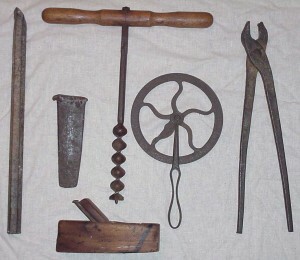 They will illustrate learning points with antique tools representing a variety of trades and will discuss their uses by various craftsmen of the period. Students will be given the opportunity to imagine the experiences of the tradesmen who used these tools to produce goods and perform repairs on existing products. This program is designed to assist teachers in their instructional efforts with students who are learning the principles of force, motion, and energy outlined under section 3.2 of the Virginia Science Standards of Learning. 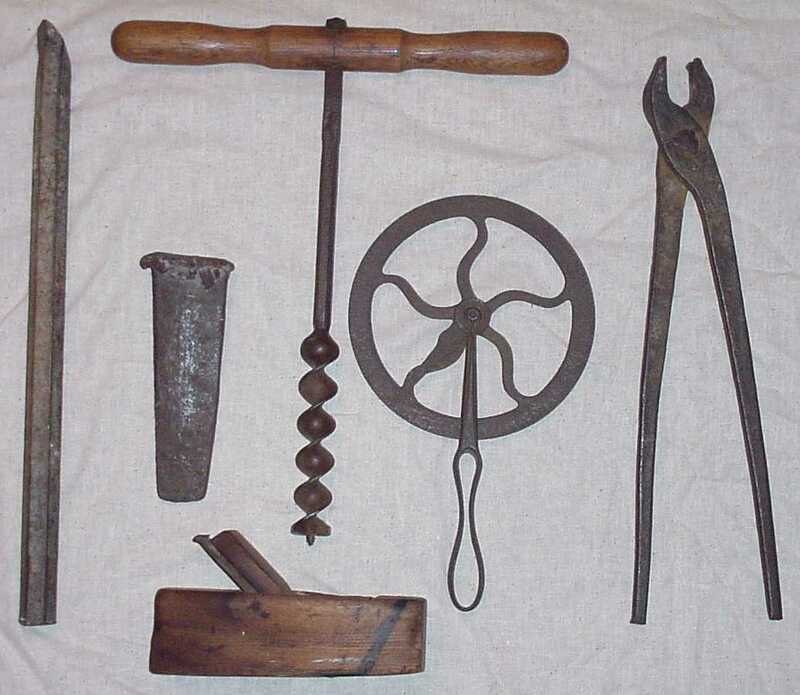 Students will learn to identify old tools used in the pre-industrial era as types of simple and compound machines. The program will also help students by discussing how early American tradesmen used natural resources (like water, iron, wood, and coal), human resources (fellow laborers and slaves), to produce goods and services for consumers. This program will additionally address how specialization (being an expert in one job, product, or service) and interdependence (different specialist tradesmen needing each other) in the production of goods and services was a normal way of doing business for early American tradesmen in the pre-industrial era.